The HOVERGlide® Twin Rail Curved 2000 is custom manufactured for your staircase. The twin rail system provides a safe and smooth ride, and with the tightest track bends available in the industry, the 2000 stair lift will accommodate nearly any stair configuration. The included Smart Seat allows for power footplate and swivel options and includes your choice of six upholstery colors FREE. The rail system is also available in two colors as standard, light grey or gunmetal, but can be supplied in any color to match your home’s décor. Please contact us at 800-308-9295 or click �More Information� to fill out a form to be contacted by one of our Customer Solutions team members. Designed for stairs with curves, corners, landings or a spiral. Twin rail track comes in two standard colors, but can be special ordered to match any decor. The rack and pinion drive ensures a smooth and quiet ride. Choose from six attractive upholstery colors to match the stairlift to your home’s interior. Adjust the seat to match your height for a comfortable ride. Battery powered so you will never be stranded in the event of a power outage. Optional perch seat for those with difficulty bending at the hip or knee. Energy efficient – it only uses about $7 of power in a year..
Comes with 2 year manufacturer's parts warranty and limited lifetime warranty on the gearbox and motor. Weight Capcity Heacy Duty Model: 300 lbs. Folded distance from wall: 15.75"
Open distance from wall: 27.125"
Track intrusion into staircase: 4.5"
Question:Why doesn't insurance pay for ramps, vehicle lifts, and stair lifts? Answer:Most insurance companies will not cover items that are not considered a medical device. Hoveround understands that these items might be necessary for you to remain independent inside and outside your home. We can assist you with making the best decision when purchasing a products to meet your needs. 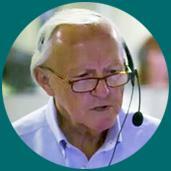 You can call our Customer Solutions Department at 800-308-5002. Question:Will my insurance cover the cost of a stair lift? Answer:Unfortunately, Medicare and most private insurances do not cover the costs of a stair lift at this time. Question:How does the stair lift attach to the stairs? Answer:Our stair lifts install directly to the treads of your stair case, not the wall. There is no need to reconstruct or reinforce walls in order to install.